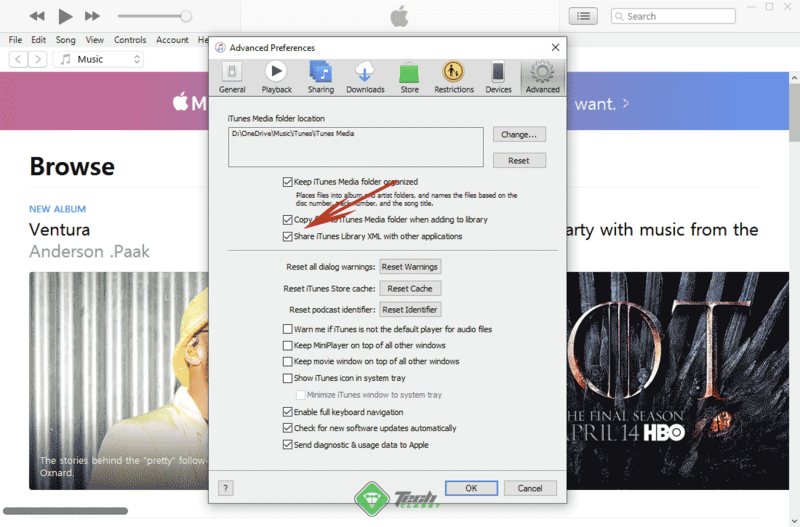 How to Remove DRM from Apple Music Tracks, iTunes Movies, Shows Etc. 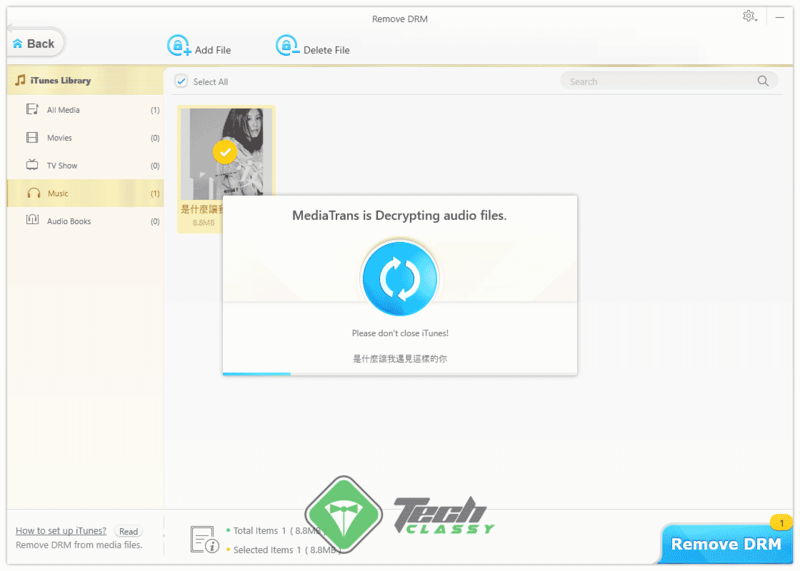 If you want to know how to remove DRM from Apple music tracks or iTunes movies or TV shows, you are at the right place. This article explains how you can remove all copyright restrictions from a track of Apple music or a video file so that you can play it on any devices if you want. All Music Streaming Services like Apple music put restrictions to the music tracks you download to your iPhone. It prevents users from playing it on other non-authorised devices. In fact, It prevents you from using the contents illegally. Yes, You can play any purchased videos or music on any devices where iTunes is installed. But, It doesn’t give you the flexibility as like the MP3 or MP4 tracks. So, You may want to get rid of this type of restrictions. 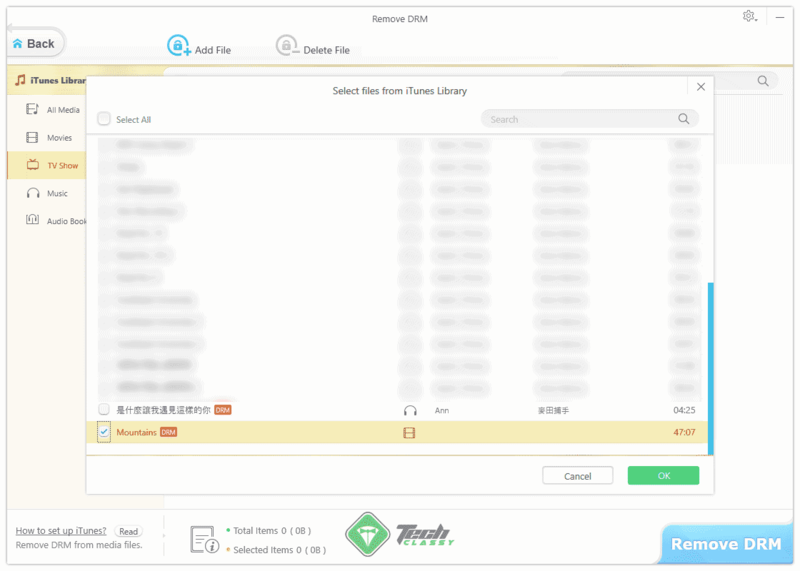 If you want to get rid of the restrictions from the digital products that you have purchased from Apple, you can do it easily. There are a few good third-party tools available which can do it effectively. One of my favorites is WinX MediaTrans. By the way, To remove DRM, follow these steps. After installing, You will have to share the XML library file with third-party tools from iTunes. To do it, follow these instructions. At first, Open the iTunes. Then, Click on Edit from the menu and go to Preferences. Now, Go to Advanced tab. Check the option “Share iTunes Library XML with Other Applications” and save this setting. Now, It’s time to Remove DRM from Apple music tracks or anything you want. To do it, follow these steps. At first, Open the WinX MediaTrans. Now, You will see an option “Remove DRM.” Just, Click on it. Then, Select and add the Apple music or iTunes movies or Shows etc. At last, Click on Remove DRM button. Wait for a while to finish the process. By this way, You can remove DRM from Apple music or TV shows purchased from iTunes. By default, Apple music tracks are in M4A and video tracks are in M4V format. After removing DRM, These will be MP3 and MP4 format. As a result, You can play them anywhere you want without any restrictions. It totally depends on your country law. In the US or UK, Removing DRM from any digital product is illegal. In some countries, Copyright laws are not properly adopted. In some countries, It is permitted to remove DRM as long as your intention is fair. In my opinion, You only should remove DRM for personal reasons. It’s true, If you remove DRM for personal usage, whatever the law is, it is almost impossible to get caught. But, If anyone wants to do it to redistribute and earn the illegal profit, there is risk. And I don’t encourage you to do it.